Centurywise CW5 is a multi-purpose heavy duty alkaline cleaner. 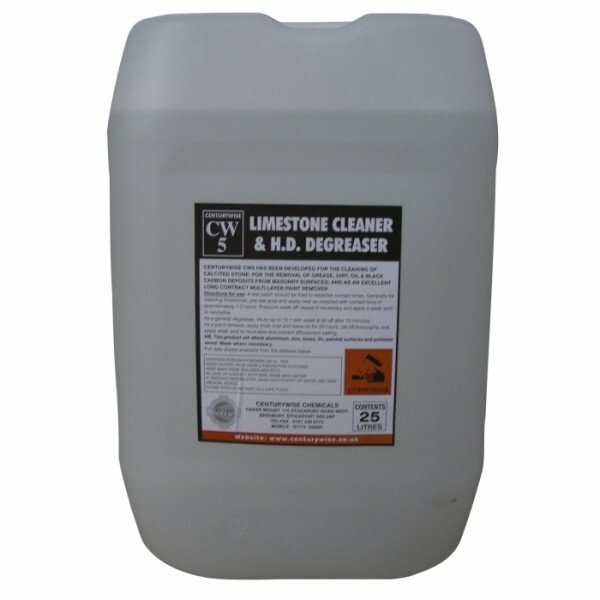 It has been developed for the cleaning of calcited stone; for the removal of grease , dirt, oil, and black carbon deposits from masonry surfaces, and as an excellent long contact multi-layer paint remover. 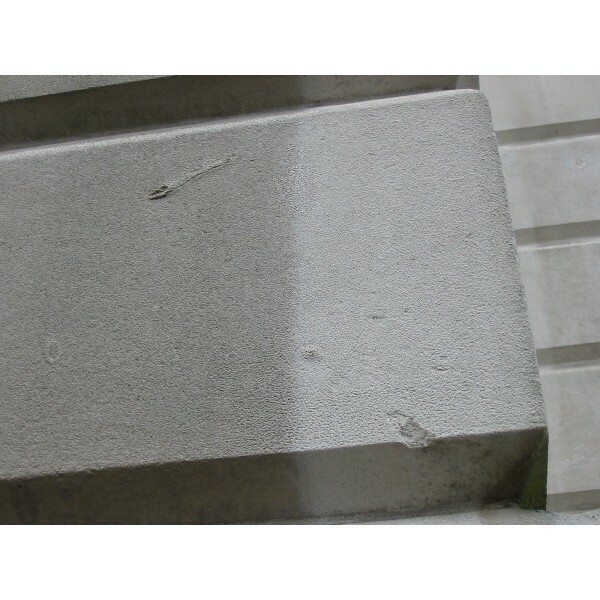 Limestone cleaning - Pre-wet area and apply neat as supplied. Allow contact time of approx. 1-3 hours depending on degree of soiling. Power wash off and repeat if necessary. Apply dilute CW17 to neutralize. Try a test patch first to establish contact times. General degreaser - Pre-wet area. Dilute up to 10:1 with water, and power wash off after 10 minutes. Paint removal - Apply thick coat and leave on for 24 hours. 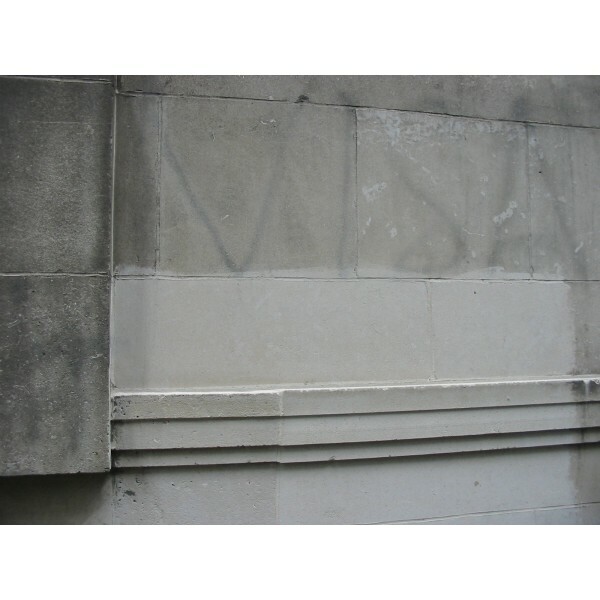 Jet off thoroughly and apply weak acid to neutralize and prevent efflorescent salting. NB. This product will attack aluminium , zinc, brass, tin , painted surfaces and polished wood ......... mask where necessary. A supply of clean water should always be available when handling this product.